A nurse approaching her later middle years offers a few reflections on a birthday that marks the end of a rocky year, and reminds the celebrant of all that has been lost in the battle.....and all the victories that have yet to be. Today is my birthday. I'm 54. Which means I've reached my mid-fifties without having ever gotten really used to the idea that my forties were over. A lot of women in my age bracket would probably not care to admit that, but I've never been particularly hung up about getting older, especially since I started letting myself go in my early 30s and have long been out of the running for Miss America. (Not that I ever was in the running, of course, because "drop-dead gorgeous" has never described me.) It's OK, and frankly, it's a whole lot better than the alternative. My only regret is that I wish I'd taken better care of myself when I still had youth on my side. To be honest, the arrival of this particular birthday brings with it a huge sigh of relief, because it marks the end of a bruising journey that essentially aged me at least five years in only twelve short months. 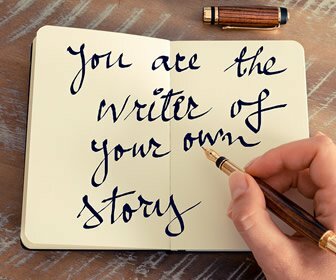 Although I am both sadder and wiser for the experience, I wish I hadn't had to go through it at all......but then, I never have been able to learn things the easy way, and evidently the good Lord determined that there was a lot of learning to be done and threw a bunch of it at me all at once. It happens. I have no idea why I thought I should be an exception, but really, sometimes grown-ups have to deal with more than one crisis at a time. What a novel discovery THAT was. And yet, what a time to find out that my longtime wish had come true: suddenly, I understood that my life mattered. That's all I've ever really wanted since I was small. Even so, there were a couple of times last year when I was ready to give up and call it a life; I could think of many things worse than dying, and one of them was going on the way I was. Yet something always held me back from the edge, and now I realize what it was: the power that comes from knowing that I am loved. That I won't be allowed to slip under the waves and drown in the deep, dark waters that sometimes threaten to overwhelm me. That somebody, somewhere is always there for me; all I need to do is call out for help. As hard is it is for me to wrap my faulty brain around that concept, I know it's the truth, and I'm grateful to have been so blessed. There are too many people out there who lack that assurance; I wonder sometimes how they get through life without the kind of support I have. Maybe they are stronger than I; I'll never know. But I pray for these nameless, faceless individuals every Sunday because I fear they have no one else to pray for them, and to me that's worse than any other kind of human loneliness. I know there is no way to tell what will happen during this next trip around the sun. I want to believe it will be better than the last---that there won't be any more game-changers for a while so I can catch my breath from the last batch. I also want to prepare myself for the possibility that it won't be everything I want it to be. But there remains a tiny pilot light of optimism that cannot be quenched entirely...even in the hardest of times, it continues to burn inside my soul, and symbolizes the hope that lives there still. The last of life, for which the first was made." It's going to be a good year. I can feel it in these achy, 54-year-old bones. Besides....it's only another 365 days until I can start getting some of those senior discounts. Now THAT'S something worth hanging around for. Happy birthday, Viva! I hope you're having a most pleasurable day. . .
Today is my mother's birthday, too. The only difference is one year (she turned 55 today). I still have more than a few months before I shall be another year wiser. But, I hope you had a wonderful birthday!! 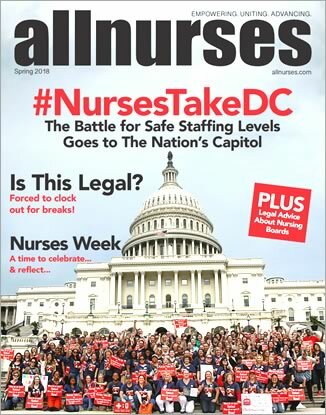 I hope you know you are loved at allnurses.com. I turned 56 last year...my has time flown! Don't you know?? 50 is the new '40? 80 is the new 70! Probably one of the reasons why divorces have gone up for older folks. Older people getting friskier. Oh, happy b-day. If you ever believed you didn't matter, you were the only one who did. I'm late but still want to wish you a Happy Birthday as well as wish you a Happy new trip around the sun. Of course I can't speak for your private life but you are SO WELL regarded here at allnurses. You are truely an icon of this board and I often look for your opinion on a given subject. If I could pick just a handful of posters to meet up in real life and share an afternoon with and a good cup of coffee - you would top my list (would love to meet my other geriatric buddy, CCM too). Seriously, if you find yourself having one of those down days, just PM one of us and pour it all out. We may not be able to fix the moment but sometimes it helps to just let it go.